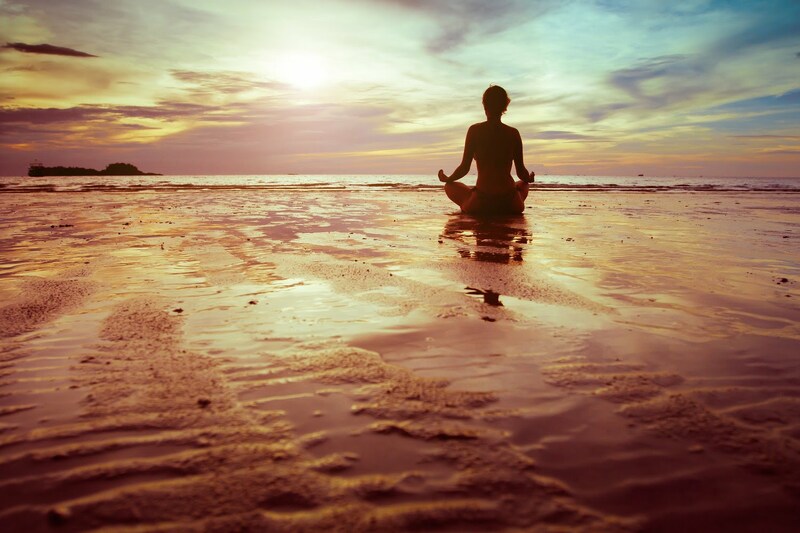 Meditation for calming the mind and body is essential for restoring and maintaining health. The objective is to silence the thoughts in our minds and this can be achieved through meditation used for calming the mind and body. In our every day lives we are not understanding what we say to ourselves. We go through each day saying out loud “I’m going to beat this” and conversely in our heads we are saying “I’m really not well”. What steps need to be taken to vanquish the crazy man talking inside your head? This is very important to understand and then of course know what to do. If the crazy man is left alone with free reign he can and most likely will do you in. How is it that you get rid of them? There is one very powerful way to do this, you simply stop believing “the crazy man” in your head exists. This can be achieved through meditation for calming the mind and body. When it comes to thinking, you have no say in the matter as thinking is involuntary. When it comes to deciding what to think, it’s impossible. What would happen if you were allowed to decide what to actually think? You would end up spending all day long on what to think tomorrow and never get anything done today. Thinking is an involuntary spontaneous act. Our thoughts are provided to us, let me explain. For example, are you actually beating your heart, are you the one breathing your lungs, are you secreting your glands? The answer is no, you’re not doing any of these things. It’s important to remember we are in fact human beings, not human doings. The whole goal is for you to still your mind and you can do this through meditation; calming the mind and body. That’s why humans like to talk to people because we would go crazy if we had to keep our mouths closed all day and not talk. As an example, what’s the worst thing you could do to someone who is in prison? Put them into solitary confinement. It has been proven that being alone with your mind will drive you insane. At our healing center, we educate and teach you how to restore and maintain your health. Meditation for calming the mind and body is just one of many therapies that are part of our comprehensive cancer care program. We design a unique care program that is tailored for each individual based on their specific circumstances.